Build it and they will come – some businesses set up a web site and inform their existing customers that they are now “online”. Once the announcement is made very little is done afterwards to promote the site. While having an online presence will get you some notice, you could very quickly become disappointed with the number of leads you receive. Scatter and splatter – one technique is to link your business almost everywhere possible online. From mass emails to banner ads, pay per click (PPC) to social media and more, you send out a link to your site with a brief message to visit. You could see a definite spike in traffic, along with a bunch of false leads and less-than-positive feedback about spam. Pick your battle – you can choose one online avenue and do your very best to cultivate it. For example you may create a Facebook page that routinely promotes your web site. But you neglect other lead generating options such as Ebooks, blogs, email and other social media sites. You would be limiting your audience and opportunities. Planned strategy – work with an experienced partner to develop a strategic marketing plan that will implement a variety of techniques blended to work with your overall marketing plan. The techniques can include SEO, PPC, email, blogs, content management, social media and more. With the right marketing partner you can generate leads online and get real return on your investment. The right qualified leads will convert to customers much easier and you will realize a boost in sales. For more information please call us directly or click the button below and we will contact you. Thank you. The internet world can be quite intimidating for new businesses. With all of the web sites, scams and competitors online, some companies wonder if they can really generate leads online. But there are some real opportunities for businesses that want to take full advantage of internet marketing. The ROI is greater - with online marketing your investment is relatively small compared to traditional advertising such as radio, television or printed ads. And with the right approach you can target potential leads that can convert to sales much quicker. Truly focus on your market - traditional advertising has its limitations with reaching just the right target audience. With online marketing and inbound techniques you can make sure the right target audience notices your business at just the right opportunity. 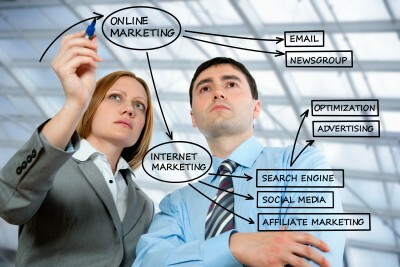 Multiple channels - there are several online channels to leverage with online marketing. These include web sites, social media, email, blogs, Ebooks and more. You can target your audience no matter where they are looking online to make sure your business is noticed. Brand development - building your brand can be a complicated task. With the right marketing partner you can use online techniques such as strong content to create a brand identity that will help your company to succeed. Increase customer loyalty - your existing customers can be more connected to your company through online activities. You can respond quickly to feedback, questions or comments to help your existing customers and encourage them to make referrals. 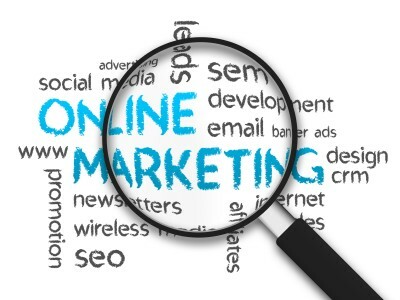 To generate leads online you can leverage a skilled marketing firm that understands the opportunities of the internet and can help you navigate and succeed online. Reliable marketing firms will work with your company to achieve your marketing goals. For more information please call us directly or click the button below and we will contact you. There are plenty of fancy techniques advertised that claim to generate leads online. Before jumping on the latest trend to get new leads, consider a look at one of the tried-and-true basic techniques: high quality content. The online content that is presented by your company has a direct correlation to the quality of leads that you receive and your online sales conversion rates. Purpose – the content produced should have a specific purpose in mind. This could be generating new leads, introducing a new product, or educating existing customers to build loyalty. A clearly defined marketing purpose will yield a much higher quality of online content. Approach – the style of writing should blend well with your overall company culture. A catering service may have a very lighthearted and friendly approach, while a law firm may choose to be highly professional and knowledgeable in their writing style. Accuracy – quality content writing should be grammatically correct and have no spelling or punctuation errors. Even the smallest error can diminish the overall quality of the content. SEO – through the use of search engine optimization (SEO) your online content can attract qualified leads to your web site. Using SEO properly in your content will make sure that all online channels (social media, web site, forums, banner and PPC advertisements) become effective lead generators. Interest – high quality content will be easy to read while also piquing the interest of the reader. Exciting content that will provoke action is the best possible result for your online business success. To generate leads online consider utilizing a proven method in quality content management. For more information please call us directly or click the button below and we will contact you. Thank you.